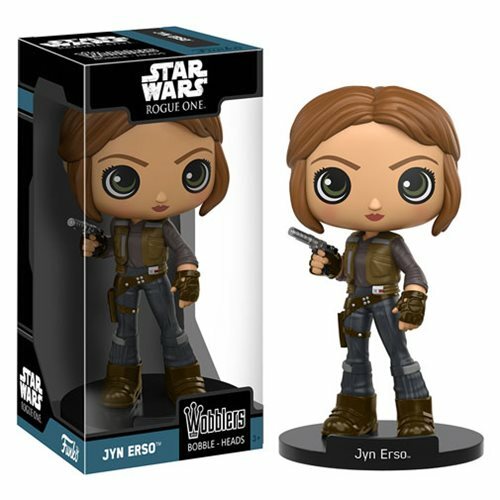 From Star Wars Rogue One comes Jyn ersoas a bobble head. If you're about to make a risky move, like stealing the plans for the Death Star, this stylized figure will nod encouragement every step of the way! This Star Wars Rogue One Jyn Erso Bobble Head measures 7-inches tall and comes with a decorative Star Wars stand. Ages 3 and up.